Etsy sent an email to some sellers with the subject line, "Get an exclusive preview of the new Etsy support tools." Sign up for the opportunity to be part of our beta group this summer. We're working on exciting new Etsy Help tools to give you a faster support experience. Sign up for an opportunity to test out our new live chat and premium phone support features. - Phone support: With premium phone support, you'll have a direct line to an Etsy support representative who can answer your questions. - Live chat: The new live chat feature in Shop Manager gives you fast access to members of our support team. - Share feedback: As part of the beta group, you'll help inform and shape our new help tools. We'll reach out to get your feedback. If you're selected, we'll contact you when the beta tools are available in your Shop Manager. Spots are limited, and we'll update you when they're available. Etsy support representatives will be available seven days a week from 8am to 12am ET. The reader who forwarded the email wrote: "Live Chat. Boy that is a blast from the past." Let us know what you think! If they are as stupid as the ones at Fleecebay SAVE YOUR MONEY. Amazingly, I have been selling on Etsy for years. I have never had any buyer issues, and I think that I have only had one return. The Stats and Dashboard are the lamest junk I've ever seen. Totally useless. That sounds like a good thing. I remember when the Etsy Payments fiasco was going on, everyone was complaining that they couldn't speak to anyone for answers. I like it. I think it is a step in the right direction. Now of course this is all depending on how well trained their CSRs are. I really like having the Live Chat return and the ability to email a question in. It is GREAT for keeping records on these types of discussions. You don't mi d paying a monthly fee to get someone on the phone? At this time Etsy is not charging a fee, so I absolutely don't mind. Maybe in the future that will change, but as for now I think these are positive changes. Etsy is trying, they may be behind on some of their upgrades but it's refreshing to see that are making some sort of progress. I don't understand why all sellers don't automatically get support for free. If the seller abuses the support, they lose that support, Etsy could just flag their account. No doubt access to the Beta group is only being offered at this time TO US BASED sellers! 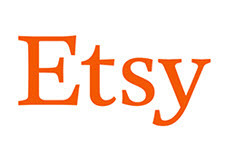 ETSY HAS ABANDONED ITS INTERNATIONAL SELLERS AND IS NO LONGER A GLOBAL PLATFORM. By manipulating buyer search ''Localization'' has shut off many international sellers from the US market they depend upon. Etsy says buyers asked for for this. Sellers are buyer too and no one asked me! Further manipulation of search shows buyers shops only in their own country when they filter for fast shipping. Again, this hurts buyers in countries with a small population few of whom know about Etsy. Now the latest cash grab of charging fees on shipping hits international sellers hardest. International shipping is already sky high. International sellers PAY THE SAME FEES as US sellers yet get a shoddy 2nd rate service. Why is picking up the phone for a brief four hours each day considered ''premium phone support''? For most businesses its called ''customer service''. Etsy is trying to catch up to Ebay in the race to the bottom. The site is overrun with fakes, knockoffs, and items that can't be considered handmade even by Etsy's loose definition of the word (enter 'Nike' in the search box and you get over 53,000 hits). What support are they charging for? I missed something here. What fees? ''Q: Can I discuss details of the beta with other sellers? ::sigh:: Etsy is NOT just for the 'hand craft market' - supplies and vintage are sold there, too. I'm thrilled to purchase, as well, from INTERNATIONAL sellers as well as sell to international buyers. For international Etsy sellers - rolling out changes to other countries with differing laws and conditions takes longer - changes get vetted in the US (home country) first, then I hope will be rolled out internationally, taking into account international necessities and conditions. Would like to speak with someone @ Etsy about my lack of sales. Haven't had a sale in over 2 weeks. Please check my account and tell me if there is anything I can do to increase my sales.